If you have Land Rover in need of auto repair in Brooklyn Park, the auto mechanics AutoPro Auto Service are the ones for the job. We can quickly get under the hood of your Land Rover and get you an accurate assessment of its auto repair needs. We offer free loaner cars to our customers, too, so if your vehicle needs to stay with our auto mechanics for a while, your life doesn’t need to get put on hold. At AutoPro Auto Service in Brooklyn Park, your Land Rover is in excellent hands. 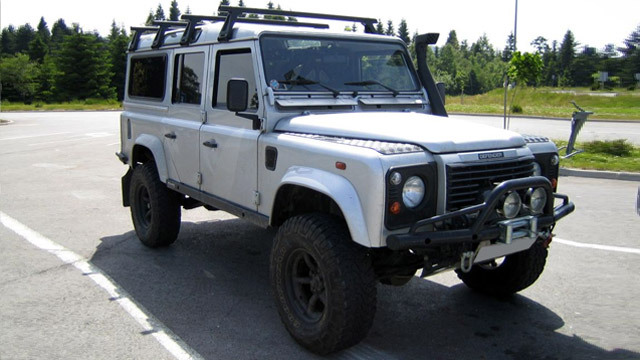 A Land Rover will last a very long time if properly taken care of, and our auto mechanics are here to help you with that. From oil changes to engine repair, we’re equipped to provide a full range of auto repair service for your Land Rover. We include a three-year, 36,000-mile warranty on our work, too, so that you can be sure you’ll be on out on the road in good shape. AutoPro Auto Service in Brooklyn Park takes care of its customers and their vehicles. At AutoPro Auto Service, it’s our priority to make sure that each time you come in, we meet and exceed your expectations. Our skilled auto mechanics and dedication to respecting our customers set us apart. So, don’t wait for your vehicle to get to a point where it forces you into an auto repair shop, let AutoPro Auto Service in Brooklyn Park keep your Land Rover running on your schedule. Our auto mechanics will make you confident that we’re the only place you need for Land Rover service. Contact us to make an appointment for Land Rover service or auto repair. You can find AutoPro Auto Service at 7901 W. River Road, Brooklyn Park, MN 55444.